Product Consists : Grace Cole Shower Gel Made in England (Weight : 239 ml) with ID IZARA from New Zealand Body Bath and Scrub (Weight : 250 ml). Spend a great day with your mum So go and start with the Special gifts for your Mom. If you are Looking for a great way to wish your mum on Happy Mothers Day We have got some of the best ideas what to put your Feeling on Mothers Day and Make this Mother's Day special for your dearest Mom and gift her amazing gift pack Grace Cole Shower Gel with Body Bath and Scrub for Her. Grooming is very important, we have to be fit in today's society. Everyone has to make sure for personal grooming is up to the standard. This hamper will surely help you and your receiver to maintain good personality. This awesome gift hamper will take caring the beauty of your love lady. This gift hamper will be relished for the entire life and she will feel the love when she will use these products. 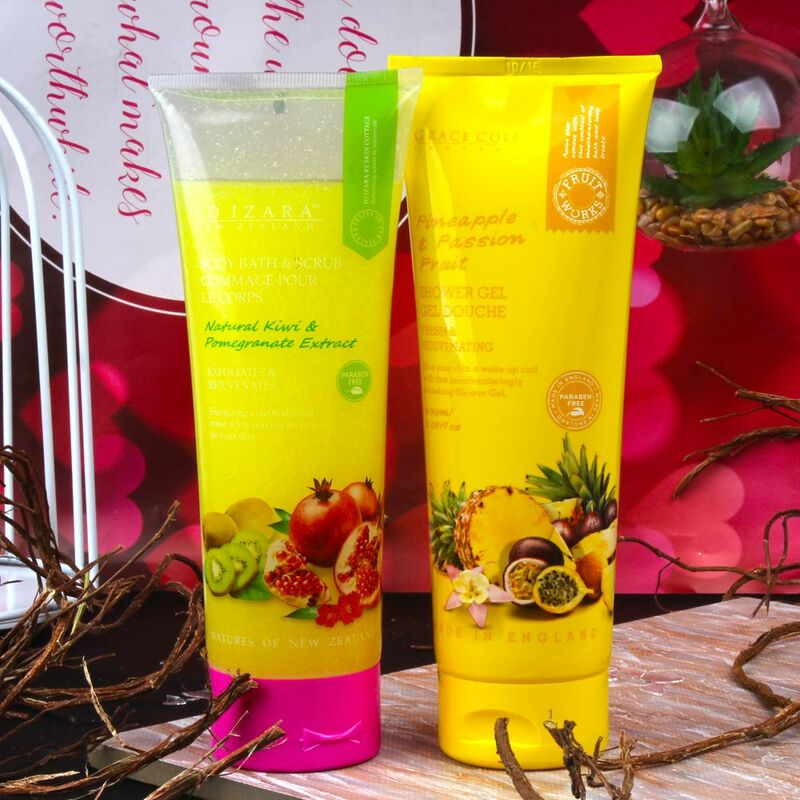 Giftacrossindia brings to you a mind-blowing collection of Mother's Day Gifts like Grace Cole Shower Gel with Body Bath and Scrub for Her that give you so many gift options. Check out our Mother's Day Gift shop that will help you to choose the best gift for your loved ones. Product Includes : Grace Cole Shower Gel Made in England (Weight : 239 ml) with ID IZARA from New Zealand Body Bath and Scrub (Weight : 250 ml).